The Pharaoh Hound is an ancient breed that originated in Egypt, and many reminders of its long history can be found in art and literature. An artifact from 4000 BC depicts two Pharaoh Hound-shaped dogs hunting gazelles; a dog resembling the Pharaoh Hound was often depicted as the companion of kings and nobles in ancient Egyptian art; and a letter dating to the 19th Egyptian dynasty mentions a red long-tailed dog whose face glows like a God, a reference no doubt to the breed's habit of blushing. From Egypt, the Pharaoh Hound was imported into Malta by Phoenician traders. There they were called the "Kelb tal-Fenek", meaning "dog of the rabbit", after the prey the local hunters used the dog to catch. The breed thrived and became the official dog of Malta. The Pharaoh Hound remained largely unknown in the west until arriving in England in the 1930s. The first Pharaoh Hounds were imported into the U.S. in 1967. The Pharaoh Hound Club of America was founded in 1970, and the breed was officially recognized by the American Kennel Club in 1984. 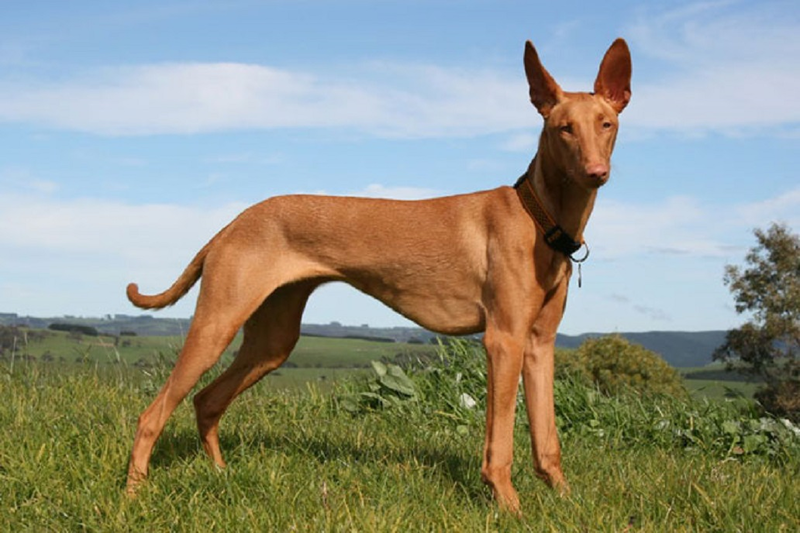 The Pharaoh Hound is still an uncommon breed, but he can be found throughout the world, wherever people appreciate his unique appearance and personality.